Tota is known as the most outspoken member in the investigation team. He plays a crucial role in the investigation of the Yotsuba Group after sneaking into the company's building without the knowledge of the team. His designated investigation team alias is Taro Matsui. By following L's instructions, Matsuda gains the trust of the company's board members, fabricates his death (he uses the alias Taro Matsui) so that Yotsuba members can not kill him), and serves as a temporary decoy to lure the suspect into the Sakura television studio during the second Sakura TV incident. Despite his excitable, naïve personality, Matsuda manages to stay alive through quite a few dangerous times. Matsuda sees Soichiro as his mentor. While it is clear that most of the investigation team views Kira as a an evil criminal, Matsuda often wonders if Kira is performing good deeds, especially since more and more people seem to be agreeing with what he does. Matsuda is scared by Mikami's intense loyalty to Kira when he hears Mikami's public announcement on Sakura TV. Matsuda proves to be somewhat supportive and sympathetic towards Kira's followers nonetheless. When Light is revealed as Kira at Yellowbox Warehouse, Matsuda is the most shocked of the team. He has always liked Light and is outraged to learn that he had been fooled; he is particularly upset, asserting that Light's actions had led to the death of Soichiro. Matsuda succeeds in saving Near's life by shooting Light's hand, causing him to drop the pen that he was writing Near's name with. Matsuda shoots him several more times to stop Light from writing Near's name in his own blood. 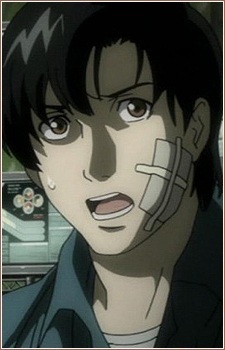 The enraged Matsuda nearly kills Light with a shot to the head, but he is stopped by the rest of the Japanese investigation team. As shown in the final chapter, Matsuda suspects that, to help with Light's capture, Near has used the Death Note to control Mikami's actions before killing him, but Ide says that he has no proof and it may be a "wish" on his part, perhaps related to his thinking of Light as a friend. If a Death Note ever enters our human world, who'd you align yourself with? Just in case one (or more) appears, we put together a Death Note characters list divided into various "groups" to help you figure out whose side you'd choose.